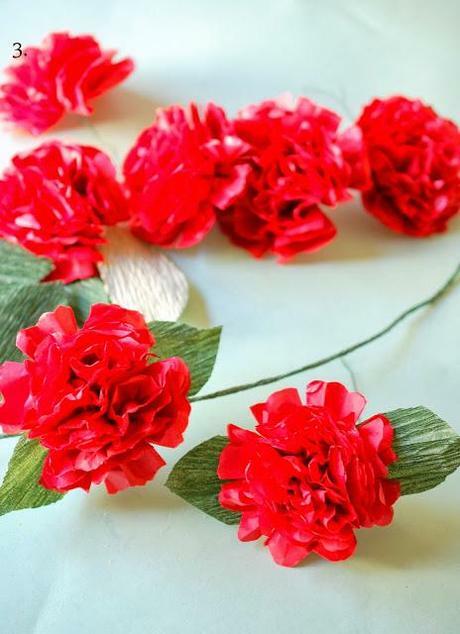 Paper Flowers are so versatile that you could make virtually any craft from them.As I promised earlier here is the tutorial of How to Make a Paper Flower Wreath out of simple tissue paper. 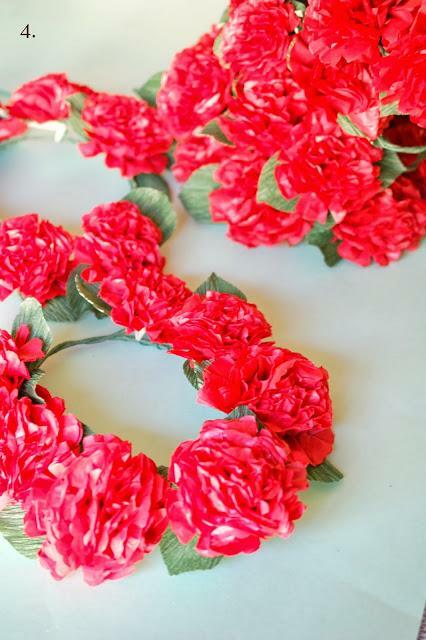 Easy to make it could become a great craft to do with your daughter or create one for your daughter for any event.Spruce it up and add your own ideas to it to create your own wreaths! This tissue flower is included in my new book.I have added a slight variation step 3 to create a peony like flower. Hope you will try this out at home! I created this set of 6 wreaths for my daughter CCD school saints fair.The kids looked so LOVELY together with all the wreaths that most of the moms were asking how I made them :-).Next week they are coming in for church wearing the flower wreaths! 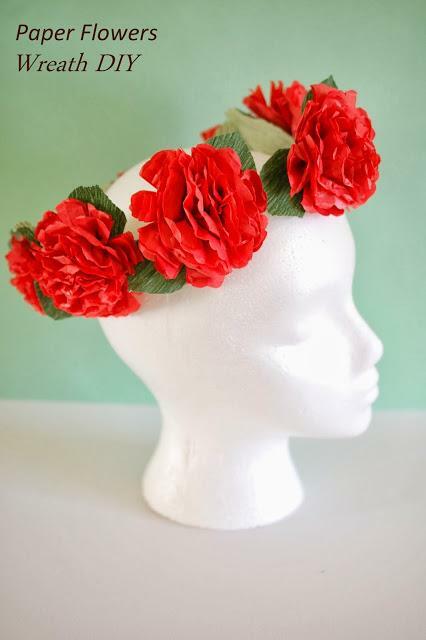 Materials:1.Tissue Paper Set of 12 sheets - Michaels/craft store/pharmacys/Hallmark2.Florist wire - Craft store3.Crepe Paper - Green for leaves - you can use card stock to instead. Method:Step 1.Cut set of 12 set of 4 inches squares keeping the tissue paper layered. Tie together at the center with florist wire and round the edges with scissors. 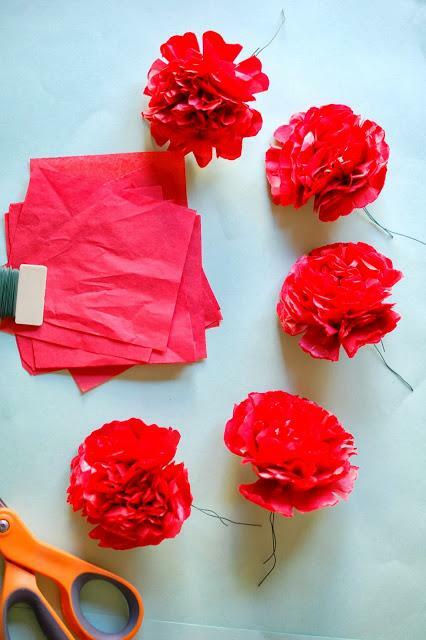 Fluff the flower up by pulling the layers up pulling up till the center .Leave 3 layers.Trim the remaining unfluffed layer into petals by cutting on the accordion fold skipping 4. 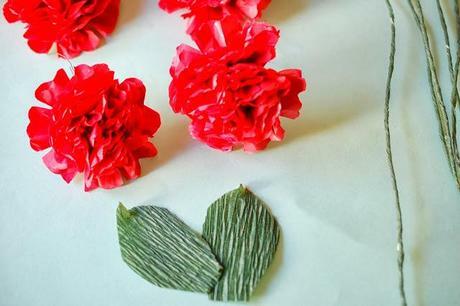 Cut 2 leaves per flowers and glue to the back of each flower. 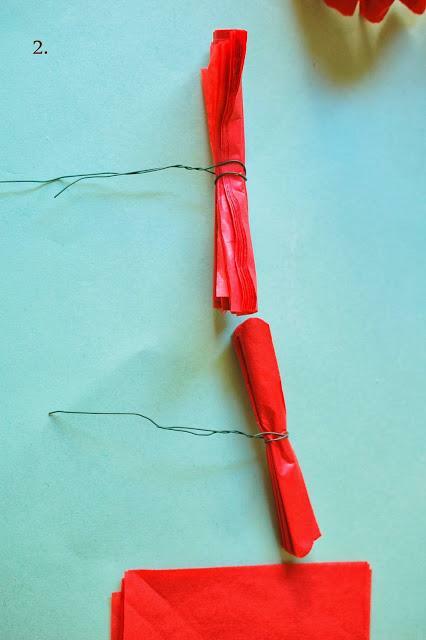 Use a 18 inch stem wire.Cut a long strip of crepe paper and wind onto the wire. Assemble the wreath by winding the individual blooms onto the wrapped wire.I had to add 7 to 8 flower per wreath.Twist the end to overlap to form ring! Do you like this -please do use the share button below to share it,use the pinterest button to pin it onto you pinterest board to come back to for reference!